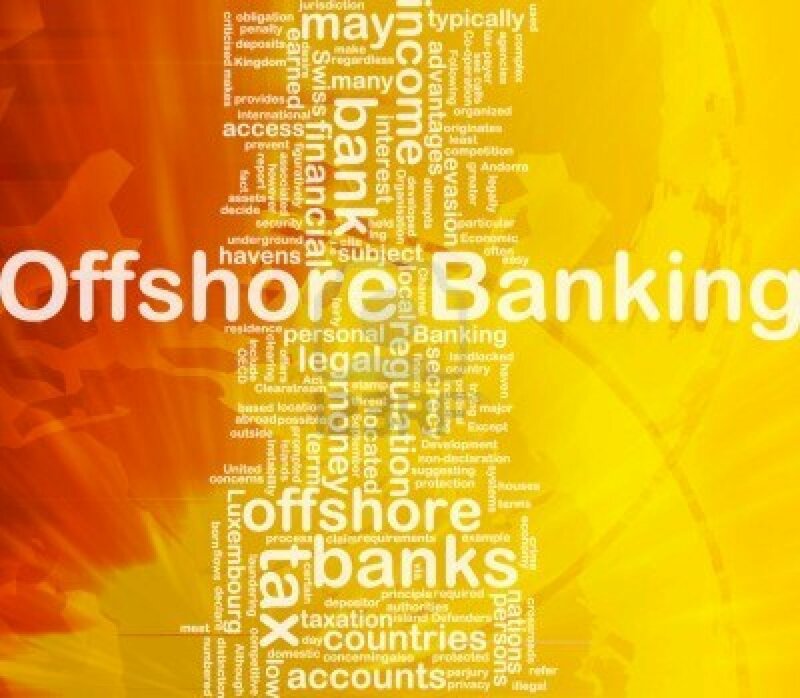 According to the most detailed study of the so-called offshore economy to date, conducted by James Henry, former chief economist with the consultancy McKinsey, the world’s richest people have taken advantage of cross-border tax laws in order to put away a shocking $20.31 trillion in offshore banks. While this likely isn’t all that crazy to those who are familiar with the massive conflicts of interest in the Federal Reserve and the fact that the Federal Reserve works with banks to put Americans on the line for the failures of banks, it might be surprising to those who have no clue how the international financial system works. The astounding sum uncovered by the Henry is slightly less than the 2011 Gross Domestic Product (GDP) of Japan ($5.87 trillion) on top of the 2011 United States GDP ($15.09 trillion). The findings were published in the new report, “The Price of Offshore Revisited,” which shows that money continues to leak out of major nations and into infamous tax havens like Switzerland and the Cayman Islands. These transactions are enabled by private banking institutions which all battle to get the accounts of what the Guardian calls the “global super-rich elite,” also known as high net-worth individuals. Henry demonstrates that sums between £13 trillion ($20.3 trillion) and £20 ($31.23 trillion) have made their way from countries around the world into these secretive banking jurisdictions. Ah, such is the glory of globalization! With liberalized trade and finance laws, what petty issues must the so-called global elite be concerned with? None! No more pesky regulations and legal issues to worry about when dealing with huge sums of money! Henry’s research revealed that the world’s top 10 private banking institutions managed over $6 trillion in 2010 alone. This is obviously a major increase from $2.3 trillion in 2005. Among others, these banking institutions include the U.S.-based Goldman Sachs and the Swiss UBS and Credit Suisse. The research used a wide variety of sources including none other than the Bank of International Settlements and the International Monetary Fund and led to some quite astounding conclusions. The analysis in the report revealed that in some developing countries, the amount of money which has left the country since the 1970s would easily be able to pay the country’s debts. Unsurprisingly, some of the worst hit by this practice have been the oil-rich nations with an ultra-rich class which can easily take its money out of the local economy. For instance, the Guardian reports, “Once the returns on investing the hidden assets is included, almost £500bn has left Russia since the early 1990s when its economy was opened up. “Saudi Arabia has seen £197bn flood out since the mid-1970s, and Nigeria £196bn,” they add. “The problem here is that the assets of these countries are held by a small number of wealthy individuals while the debts are shouldered by the ordinary people of these countries through their governments,” states the report. Unfortunately, the number of people holding a significant amount of the assets of various nations is steadily shrinking and obviously the supposedly “public” debt is placed on the shoulders of the everyday people who can’t hide away their riches in foreign banks. One of the most troubling conclusions we find in this report is that the massive amount of money held in jurisdictions outside of the reach of various tax agencies indicates that the actual gap between the rich and poor around the world is in fact much larger than previously believed. As evidence of this, Henry calculated that around $9.84 trillion is in the hands of a mere 92,000 individuals. In other words, 0.001% of the population holds more than the yearly GDP of every country except the EU and the US. “People on the street have no illusions about how unfair the situation has become,” Christensen added. “The very existence of the global offshore industry, and the tax-free status of the enormous sums invested by their wealthy clients, is predicated on secrecy,” explained Henry. Indeed, if it was not for the secrecy – which has never been questioned even after leaders of G20 nations claimed they would crack down on such activities – there wouldn’t be such a thing as offshore tax havens. Unfortunately they are real and they are constantly being used by the ultra-wealthy to avoid the same taxes everyone who is too poor to remove their money from the country is forced to pay. If nations were to go after these funds, the Guardian posits that huge sums of money would become available. “Assuming the £13tn mountain of assets earned an average 3% a year for its owners, and governments were able to tax that income at 30%, it would generate a bumper £121bn in revenues – more than rich countries spend on aid to the developing world each year,” they write. Indeed, this would offset the national deficits of so many countries considerably and create a great deal more money for much-needed causes. Yet I seriously doubt this will ever happen as the people making egregious use of these tax havens are the same ones bankrolling the political campaigns. Thus, I seriously doubt any smart politician is going to risk his or her political future on going after the ultra-rich class of the world’s wealthiest figures in the name of a couple votes. Sure, they might spew some rhetoric but when it comes down to it, they know who pays for the primetime television advertisements.